When I first heard about The Giving Keys, I fell in love with the concept. From the product they sell to their entire business model, The Giving Keys is all about social impact. The mission is to help support job creation for people transitioning out of homelessness. Through the money they make off their products, they're able to provide jobs for those in need that include benefits and paid time-off for housing, education and case management appointments. How amazing? They're dedicated to providing people with a new career opportunity and giving them the "keys" to a better life. 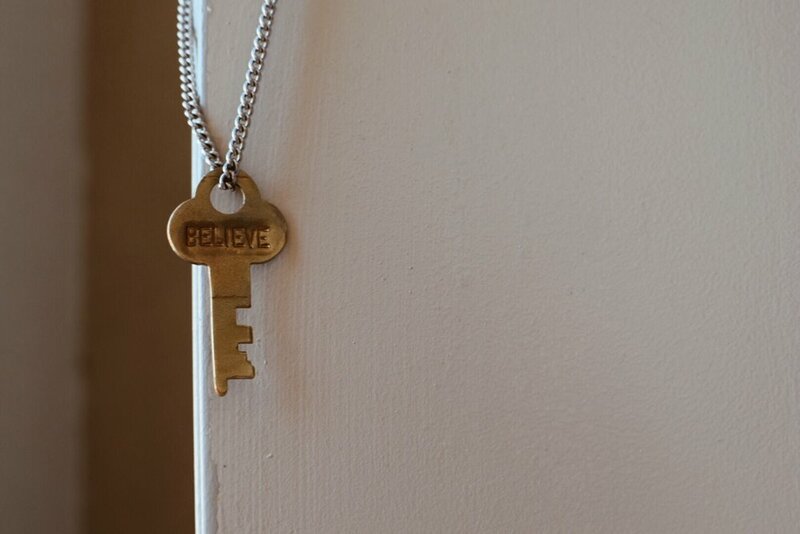 Each necklace has a key with a special word engraved on the front. You’re encouraged to embrace your word, then pay it forward by giving your product to a person who needs the message. My word says "Believe" and it was fitting that my mom bought it for me last Christmas. That's always been our "word" for each other and growing up, I used to have it plastered on different things around my room. I plan to wear it until I meet someone who needs it more than me. Check out the different options, here.